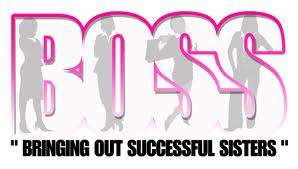 The BOSS Network (Bringing Out Successful Sisters) is a wonderful social network for women looking to connect with others like them. Seeking or sharpening their entrepreneurial skills, ladies have a plethora of information and resources to help them get to where they want to be. I got some time to chat with Cameka Smith, founder of The BOSS Network, and she gave some information definitely useful to all you trailblazing business minds out there. How did you come up with The BOSS Network? It started in June 2009 as a series of events through my background as an event planner. I wanted to bring together professional women of color who could connect with like minded women and share experiences to help one another. What did you do prior to the birth of BOSS? I have a background in education, where I worked as an administrator in Chicago Public Schools. I was also a "sub-entrepreneur", running City Global Events on the side; it was through CGE I started an event series called BOSS. I got a lot of women who were interested in being involved in the events, so I wanted to make it something women could be a part of on a consistent basis. From the strong interest, I was able to develop The BOSS Network. How was your transition from education into full-time TBN? My contract was ending with CPS, so I decided it was time to become my own boss. I put the same amount of full-time work and effort into The BOSS Network. I worked hard on learning the market and building the brand so I could best serve the women I was looking to connect. What is your day-to-day like as the leading lady of TBN? There's really no typical day-to-day, but I stay connected to my computer. It's "like my pen". I'm able to always get things done, especially with travel, and meetings, etc. I do a lot of planning with my team, strategizing, and working to be a hub for professional career growth and entrepreneurship. A lot of time is spent talking to people with access and resources, making connections, traveling to different conferences, and providing the access to members on business growth. I also serve career women, not just those looking to start their business--offering resources to sub-entrepreneurs, with side business in addition to their 9-5s. There's really no such thing as balance; it's more like a tight rope and you learn how to walk it. You must have patience with business. Taking care of "me" comes first, so you can give to your business. Having a strong foundation to do the work you need to, to be successful is most important. What do you consider the toughest part of managing TBN? There's just so much info out there, figuring out the best content for membership and the best info for the network is the greatest challenge. We survey members to find out what best accommodates them, and assess needs. Knowing your target market is your strongest tool, so we have to spend time talking to members to best serve them. What is next for TBN? On Thursday, April 5th, we're cosponsoring the Midwest Entrepreneur Summit with Black Enterprise Magazine. This is a huge opportunity to work with Black Enterprise, especially in preparation for the Black Enterprise Entrepreneur Conference, May 23-26, 2012. It will be the 1st time the conference is held in Chicago and we want to make sure everyone knows about it. It's amazing to be in the same space with like-minded people and the energy of this conference is always great for attendees. Moving forward, we'll continue constantly creating similar opportunities to expose members to "the best of the best". What advice would you give to young women looking to start their own business? Don't jump into being an entrepreneur; patience is the key. Know your field; work and study your target market. *One quote Cameka left us with was golden, so it must be highlighted: "You know what's going to happen if you don't do anything, but you never know what will happen if you do." We appreciate Cameka's time to share her insights on The BOSS Network and look forward to the Summit and Conference in May. For more on the Summit, see below and for more on the Conference, stay tuned!! WHO: The BOSS Network in conjunction with Black Enterprise join forces to present a powerful summit featuring a panel and host of who’s who in Chicago’s influencer community.